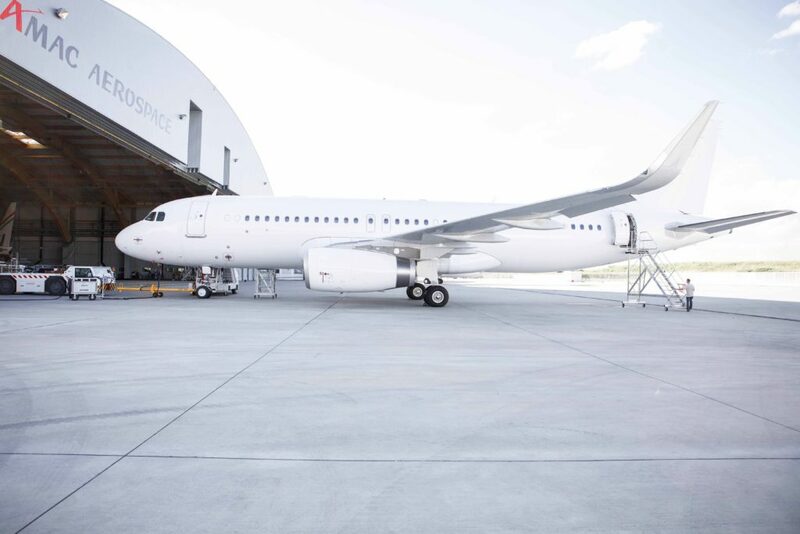 AMAC Aerospace proudly announces that a new maintenance contract on a head-of-state A320 aircraft has been awarded to the facility in Basel, Switzerland. Besides a C-Check, that will be performed on the narrow-body, AMAC will also upgrade the existing IFE (inflight entertainment system) with the improvement to stream HD content to the passengers’ personal electronic devices, such a mobile tablets and phones. A KA-band system, adding seamless broadband connectivity to the cabin, will also be installed by AMAC on the head-of-state aircraft, which will enter AMAC’s hangar doors in October 2018. The A320 type will be added to the comprehensive portfolio of existing STCs (Supplemental Type Certificates), which enables an economical re-use advantage for other A320 owners and operators, who are interested in KA-band installations.